now bigger than ever & free to the public! 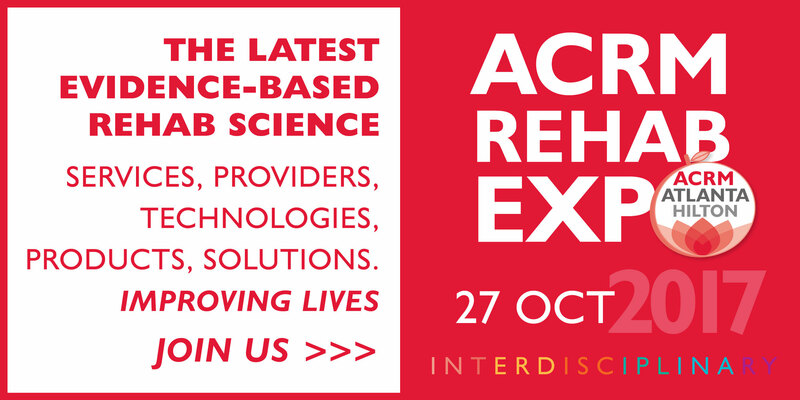 Now bigger than ever, the ACRM rehab Expo is the networking hub of the conference and an important addition to your educational experience. 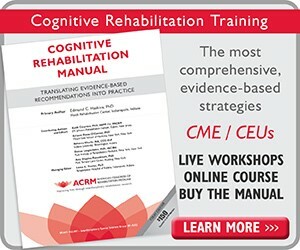 New registrations nonmembers only for CORE, WORLD PASS, and/or Cognitive Rehabilitation Training, ACBIS, and Parkinson’s Disease Course. FREE to attend the EXPO only Friday 27 October. 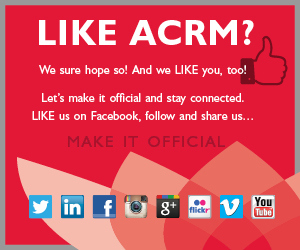 Go to the ACRM registration desk in the Hilton lobby. Complete the contact form here or contact Jenny Richard +1.703.574.5845. “Chat with the Experts” is an exciting new series that debuted at the 2016 conference to rave reviews. This year’s expanded program connects you with even MORE of the LEADING EXPERTS in the field. Bring your burning questions or explore new topics of interest. 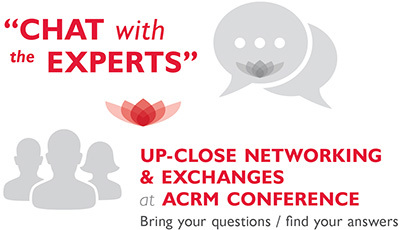 It’s all happening in between sessions in the ACRM EXPO Hall during the CORE conference Thursday & Friday morning. Held during program breaks, the new EXPO Product Theater provides opportunities for attendees to learn about new products and product research from featured exhibitors. See product demonstrations and get the answers you need to make informed purchasing decisions. No need to register. Just come to the EXPO Product Theater at the scheduled times. ASCIP provides SCI professionals advanced learning opportunities and networking that enhances professional interests, as well as those of their patients. 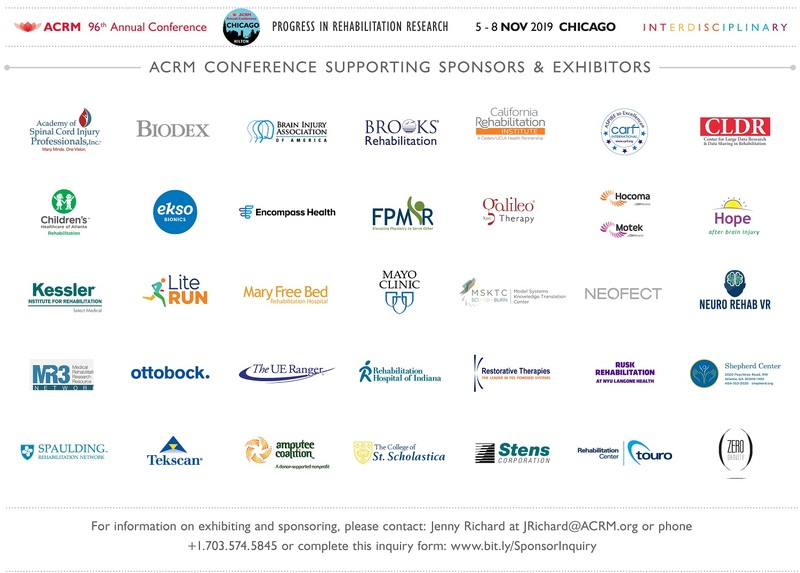 ASCIP is a not for profit incorporated association comprised of 4 sections: American Paraplegia Society, Association of Spinal Cord Injury Nurses, Psychologists, Social Workers & Counselors and Therapy Leadership Council. Adventist HealthCare Rehabilitation in Montgomery County, Maryland, is an 87 bed hospital with five outpatient sites. Adventisit Rehab was the first acute rehabilitation hospital to be CARF certified for all four of its specialty programs (Stroke, Brain Injury, Spinal Cord Injury and Amputee) in a 5-state area. APDM Wearable Technologies offers the Opal – high performance, wearable, portable movement sensor for streaming real time results or continuous monitoring; Mobility Lab – the most trusted sensor based gait and balance analysis system for instant objective assessment measures; and Moveo Explorer – full body kinematic system for instant joint range of motion. A community of leaders in physiatry, AAP’s membership includes department chairs, residency and fellowship program directors, faculty physicians, researchers, in-training physiatrists, and administrators. AAP holds programs and an Annual Meeting to improve mentorship, discovery, and leadership in academic physiatry. Physiatry ’18 will be held in Atlanta, Georgia, February 13-17, 2018. Battelle develops leading-edge technologies to aid in the recovery of nervous system injuries and address the resulting physical impairments. Working at the intersection of science and technology, we are pioneering ways to help people overcome devastating neurological damage and disorders. BrightBrainer Rehabilitation System is an upper extremity, mobile exercising platform. It provides bi-manual, intensive, and integrative training using custom, adaptable therapeutic games. BrightBrainer targets Motor (endurance, strengthening, speed of motion, motor control), Cognitive (memory, focusing, executive functions) and Emotive (depression) domains. This FDA-registered device benefits stroke, TBI and dementia populations. Since 1971, Broward Children’s Center has provided comprehensive services to infants, children, and young adults with special healthcare needs. Broward Children’s Center network of care includes: A free-standing sub-acute Skilled Nursing Facility, Medical Group Homes, PPEC, Home Health, Social Services, Education, and Therapy services. Brooks Rehabilitation has served the Southeast for more than 45 years. Our system of care includes one of the nation’s largest inpatient rehabilitation hospitals, skilled nursing, assisted living, memory care, home health, outpatient clinics, community programs, a research division and a PMR physicians practice. A partnership of Cedars- Sinai, UCLA Health and Select Medical, California Rehabilitation Institute provides patients with the latest acute inpatient rehabilitation care. With 138 private suites, we are the largest physical medicine and rehabilitation hospital of its kind on the West Coast providing excellence in clinical care and research. “Dynamic Neck Exerciser” is a patented exercise helmet which uses a “single” resistance band to create 3 dimensional forces to stretch and strengthen the core muscles of the head, neck, and spine. The 3D biomechanics requires balancing and promotes equal strength balance of muscles on both sides of the vertebrae. For over 35 years Centre for Neuro Skills has been recognized as a world leader for providing intensive post-acute community-based brain injury rehabilitation. Our patient centered programs maximize treatment effect, learning generalization, and learning stability in real-world settings. GAITRite’s® Portable Gait Analysis Systems, offer options for research, clinical and education. GAITRite® measures temporal-spatial parameters. Rollout electronic walkways can be laid over any flat surfaces, minimal setup; quick, easy, accurate data collection, multiple report generation. Connects to PC USB port; up to 2 cameras; use with/without assistive devices. Constant Therapy’s mobile solution provides evidence-based cognitive, speech and language therapy to patients anytime and anywhere, personalized with powerful data analytics. It is used by SLPs, OTs, and Neurologists in thousands of institutions worldwide. The program has already delivered over 40 million therapy exercises to tens of thousands of patients. DVBIC Serves active duty military, their beneficiaries, and veterans with traumatic brain injuries (TBI) through state of the art clinical care, innovative clinical research initiatives and educational programs. DVBIC fulfills this mission through ongoing collaboration with the Department of Defense, Armed Forces, VA, civilian health partners, local communities, families, and individuals with TBI. ellura is a medical-grade supplement proven effective as an alternative to antibiotics for UTI prevention. Once daily ellura contains 36 mg PAC (proanthocyanidins) and inhibits UTI-causing bacteria from adhering to the bladder wall, stopping the infection before it starts. Emory University’s Department of Rehabilitation Medicine provides individuals with excellent, innovative patient-centered care in state of the art facilities by fostering the continuous involvement of compassionate caregivers in our innovative research and preeminent educational programs. Galileo is an essential rehab training tool. Its mechano-stimulation is unlike other muscle devices inducing muscle contractions differently through the “involuntary” stretch-reflex instead of traditional training. Galileo’s high-repetition therapy in a short time is versatile for everyone, easy to set-up and enhances functional outcomes and neuroplasticity. HealthSouth is one of the nation’s largest providers of post-acute healthcare services, offering both facility-based and home-based post-acute services in 35 states and Puerto Rico through its network of inpatient rehabilitation hospitals, home health agencies, and hospice agencies. Motek is the global leader in virtual reality technology for rehabilitation and research. Motek’s systems are suited for the assessment and training of a wide variety of orthopedic and neurological conditions affecting the balance and locomotion mechanisms in the human body. Our clients are universities, hospitals, and medical rehabilitation centers. 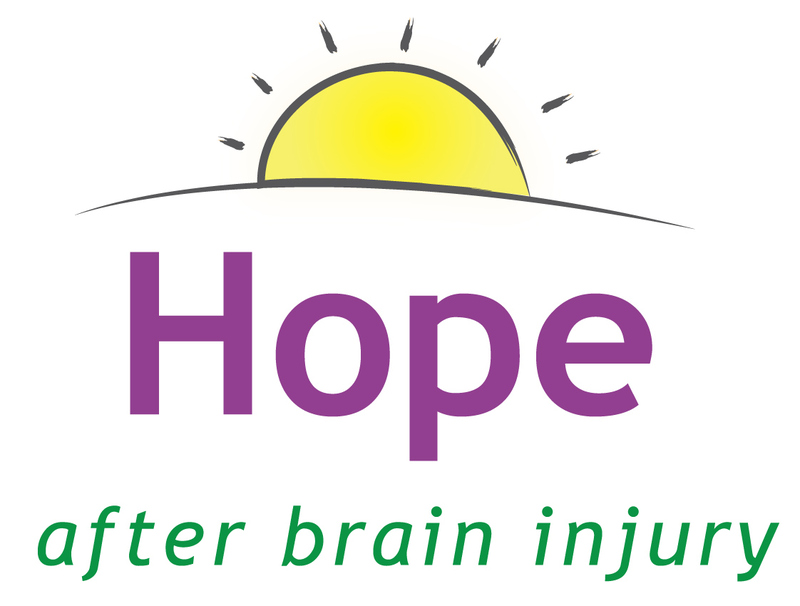 Hope after Brain Injury is a non-profit organization devoted to sharing hope with those affected by brain injury by offering counseling, education, and connection to community resources. We are involved with brain injury survivors and their caregivers, along with healthcare professionals, committed to the advancement of brain injury recovery. HUR USA is the leading supplier of strength training equipment to senior, rehabilitation and the inclusive wellness markets. Powered by HUR’s evidence-based Scandinavian design and air resistance mechanization and SmartTouch technology, industry leading providers who choose HUR are equipped with premier strength training solutions for older adults. IOS Press, established in 1987, publishes around 100 international journals and approximately 75 books annually in a broad range of subjects. 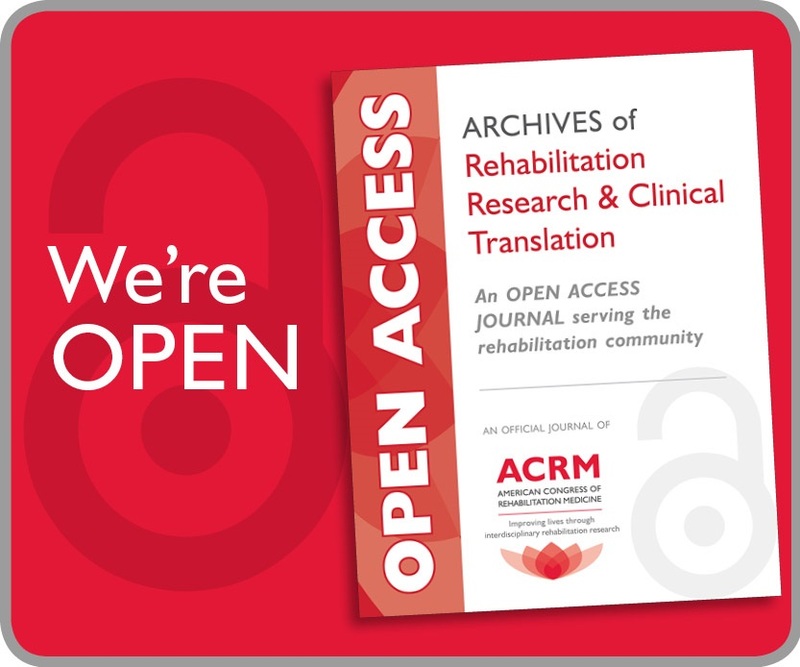 Premier titles in rehabilitation medicine include the Journal of Pediatric Rehabilitation Medicine, Restorative Neurology and Neuroscience, Technology and Disability, and NeuroRehabilitation, currently celebrating its 25th anniversary. Kapios Health’s Face2Face® app is designed to supplement treatment for facial paralysis. Face2Face® mirrors the healthy side of the face over the unhealthy side; allowing for patients to exercise their facial muscles, while seeing their face wholly healthy. The application features educational materials and allows patients to monitor their progress. Located in the Baltimore/Washington region, the Kennedy Krieger Institute is internationally recognized for improving the lives of 20,000 children and adolescents with disorders and injuries of the brain, spinal cord, and musculoskeletal system each year, through inpatient and outpatient clinics; home and community services; and school-based programs. KINESIQ offers exercise equipment combining virtual reality and motion technologies to preserve and improve functional autonomy, physical and neurological conditions. Allowing evaluation and treatment, both locally and offsite, through regularly updated and stimulating content adapted to several types of patients from early stages of fragility to end of life. Kinetic Revolutions is a medical device company driven to create new mobility products with real-world applicability that will immediately and positively impact patients and practitioners. Products include the MATRIX gait trainer for adults. 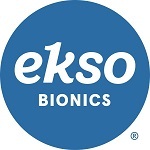 We provide product solutions across Orthotic & Prosthetic, Physical Therapy and Occupational Therapy practices. LongGood has been devoted to developing telerehabilitation solution with a vision to allow patients treated with high quality rehab service anytime, anywhere. We bring out a more convenient and friendly medical environment. Just like a virtual doctor by your side, to improve the quality of life. NRRTS is a professional association supporting individuals who provide Complex Rehab wheelchairs and seated positioning systems for people who have postural or mobility deficits. These professionals offer quality care and service using specialized knowledge, training, experience and skills to match the consumers’ needs to appropriate equipment. NCTRC (National Council for Therapeutic Recreation Certification), the premier credentialing organization for the profession of Therapeutic Recreation. A non-profit, international organization dedicated to professional excellence for the protection of consumers through the certification of recreational therapists. 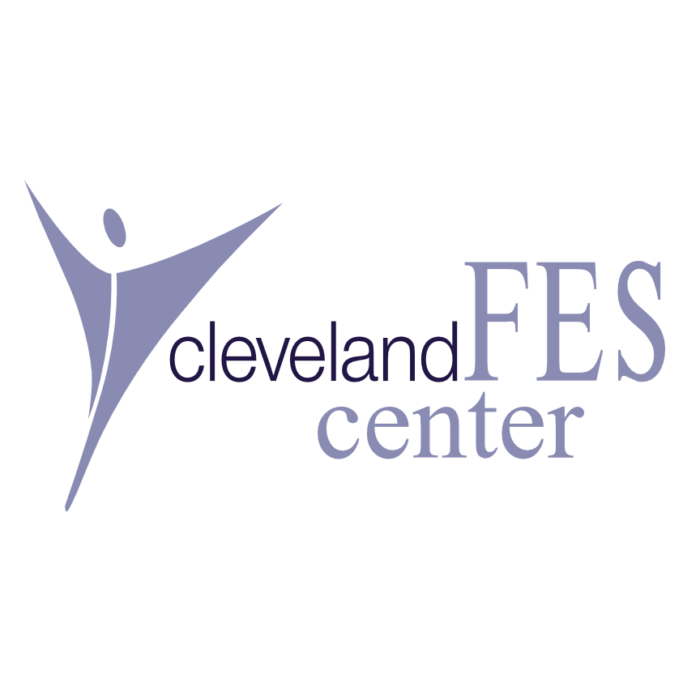 The Certified Therapeutic Recreation Specialist (CTRS) is offered to qualified individuals based on stringent requirements. NeuroInternational is the largest privately-owned community-based TBI/ABI provider in the Southeastern United States with multiple locations – many centered around Sarasota, Florida. NeuroInternational offers comprehensive NeuroRehabilitation, NeuroBehavioral, Complex Medical, and Supported Living services. Our service-oriented team, beautiful environments, and culture of dignity and respect makes us truly unique. NIH National REACT Center helps investigators design and conduct trials to fill key gaps in medical rehabilitation, ultimately optimizing patient care, REACT provides educations, collaboration, data sharing, consultation, access to core facilities, and a Mobile Technology Laboratory; all with the goal of fostering innovative clinical/transitional research and clinical trials. 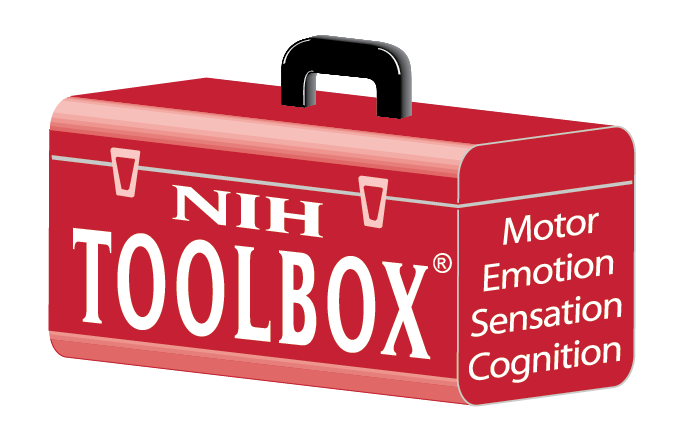 NIH Toolbox for Assessment of Neurological and Behavioral Function is a multidimensional set of measures that used to assess cognitive, sensory, motor, and emotional function in people ages 3-85. Comprised of four 30-minute batteries, the core suite of measures can be administered to study participants in two hours or less. Pearson provides a comprehensive portfolio of research-based instruments to help clinicians develop insights that support evaluations and shape treatment plans. How are you managing the integration of behavioral healthcare into your medical practice? Stop by Booth #801 to learn more about Pearson’s integrated healthcare solutions. At Philips, we have been providing innovative ambulatory monitoring products and actigraphy technology for more than 35 years to researchers and clinicians. Our customers have come to depend on our quality manufacturing, outstanding customer support, and the objective and reliable data that our devices provide for a variety of applications. Pritchett & Hull Associates, Inc. Since 1973, Pritchett & Hull Associates, Inc. has helped millions to overcome health challenges. Our award-winning patient education solutions give leading organizations tools to lower costs and increase efficiency while promoting their unique brand of care in a competitive healthcare environment. Pt Pal gives patients an interactive electronic version of their therapy program while simultaneously providing clinicians with real-time feedback regarding their patient’s adherence and progress. Pt Pal manages exercises, surveys, activities, and education across departments, giving patients a single interface for their self-care tasks, and a single platform for hospitals. Rancho Los Amigos National Rehabilitation Center is world renowned in the field of medical rehabilitation, providing quality care for people with a wide range of disabilities. Rancho’s mission is to provide patients who have experienced life-altering injury or illness with superior medical and rehabilitative services in a culturally sensitive environment. The Rehabilitation Sciences Institute at the University of Toronto provides a transdisciplinary training program in the rehabilitation sciences for masters and doctoral stream students with world renowned faculty in collaboration with outstanding university/hospital/community partners. Restorative Medical is a leader in the development & manufacture of restorative splints & braces. Our unique products provide potential to patients suffering decreased range of motion & neurological complications & support to the therapists and clinicians who treat them. We believe that research, development and clinical collaboration sets the foundation for improved patient care. T-Rehab is a Tele-rehabilitation solution/service provider. We offer a cloud based platform that allows therapists to provide remote rehabilitation treatment to patients. We are ISO 13485 and Health Sciences Authority of Singapore register. Customers: NTUC Health, Touch Community Services, Seng Kang Hospital, Ang Mo Kio Hospital, SPD, Kwang wai Shu Hospital. Thought Technology’s is the world’s leading biofeedback, neurofeedback and psychophysiological instrument manufacturer. Our products are used as an essential part of therapeutic treatments/clinical assessment protocols to treat stress related disorders/provide treatment for incontinence/muscle rehabilitation including sEMG-triggered stimulation. They are also used in ergonomics, Sports/Peak Performance and educational applications. Topmed is an innovation focused entity that empowers the healthcare and wellness industry by offering a broad spectrum of specialized services. We at Topmed believe that quality health is the right of every individual. We channelize our forces to look out for innovations within the healthcare industry globally and facilitate healthcare providers to meticulously deploy these services. Topmed is operating as a non-profitable organization and commenced its operations in 2011 by inaugurating its first office in Jeddah, Saudi Arabia. Soon after the company opened its regional office in Dubai where the operations to serve clients within the MENA region is seamlessly being carried out. Touro Rehabilitation Center is the only hospital in Lousiana accredited in several subsequently areas by the Commission on Accreditation of Rehabilitation Facilities (CARF). Touro provides interdisciplinary rehabilitation to physically challenged individuals to prevent or minimize impairment and disability, helping them enjoy life with highest degree of independence. Touro is located in New Orleans. Tree of life Services Inc., founded by Nathan Zasler, MD, provides post-acute, community-based, transitional and long-term supported living services for persons with ABI. We offer a community-based continuum of living options. We provide person centered, individualized care with a focus on community reintegration, quality of life, and cost efficiency. Vald Performance is a technology company with a specific focus on measuring human performance. Vald Performance is responsible for the NordBord Hamstring Testing System and the GroinBar Hip Strength Testing System. Our systems provide allied health professionals, sports scientists and conditioning staff with evidence based insights into an individual’s performance and injury risk. VirtuSense makes digital technology platforms that improve the sensitivity, reliability, and meaningfulness of outcome measures used in research, clinical trials, and in practice. We use machine vision, deep learning algorithms, and data analytics to assess physical movement quickly, objectively, and reliably. Our highly portable system fits in a backpack. The Paramill allows for stationary observation by trainers and therapists with performance and growth tracking capabilities. Accessible to both standard & athletic chairs, the Paramill’s single or split roller options allow for customized rehabilitation and training in both forward or reverse motions.